Samsung added several customization options lately for its Android devices with the introduction of Good Lock 2018 in support for Oreo OS. Good Lock all of its plugins and addons enable users to customize the lock screen, quick settings panel, recents app panel, navigation gestures, and much more. NavStar is another plugin of Good Lock that enables advanced navigation bar customization. You can add new features and buttons to the navigation bar using this new app. NavStar allows you to change your navigation bar icons and add more from the ones provided by the plugin. 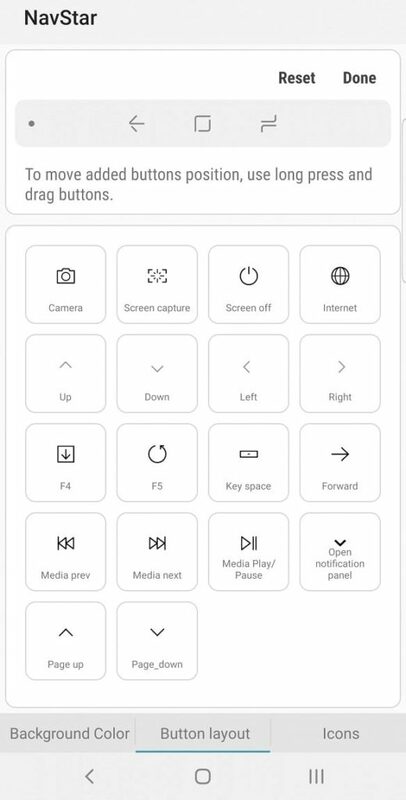 These options include adding a camera shortcut, screen capture, screen off, up/down/left/right arrow keys, multi media buttons, and much more. You can even change the background color of the navigation bar and make its darker or lighter. This opens several possibilities for advanced navigation on your phone. You can perform many operations with a single tap. However, the plugin is targeted towards Android 8.1 Oreo or later. This means, the app can run on the Samsung Galaxy Note 9, Galaxy S9 and S9 Plus running the latest Android 9.0 Pie One UI or the Samsung Experience 9.5. Just like the MultiStar plugin. As the NavStar app has not been officially made available by Samsung, the easiest way is to download the NavStar APK and install it as normal app; of course you will need Good Lock 2018 for that. As it is not officially available, you will need Nova Launcher and activity procedure to access NavStar. So you can visit our original post about Good Lock 2018 installation tutorial to see how to setup for beginners.